Why work with The #1 Real Estate Team in The State of New Jersey to Sell Your Home? The Sue Adler Team specializes in selling homes that other brokers couldn’t sell AND offers an “Easy Exit Listing Agreement” No more being locked into a long-term contract! If you are in the market to sell your home in New Jersey, you’ll want to interview the most dynamic Realtors in Short Hills, Millburn, Summit, Maplewood, South Orange, Livingston, Chatham, Madison, and surrounding New Jersey towns! Sue Adler and her team of experts on the local towns and New Jersey real estate can guide you every step of the way. Sue and her team have been the #1 Keller Williams Team in New Jersey since 2005, #91 on the Wall Street Journal Top Real Estate Team’s List in the Country for 2012, 2013, 2014, 2015 2016, and 2017 and are the #1Producing agents in the GSMLS since 2013. They have the experience and knowledge it takes to get your home sold at top dollar, no matter what the news may report about the real estate market. Sue and her team of specialists will guide you through the entire process and offers these tips to consider if you are thinking about selling your home. Just click here to see what Sue’s clients REALLY feel! At our listing consultation, we first walk through your home together, and I will advise you how to prepare your home for the market. Sometimes pulling up old carpet or a fresh coat of paint can hugely increase your profit. If appropriate, I will recommend a stager to really maximize your profits. Click here to read our recent article on staging your home. Here are Seven Important Tips BEFORE You Put Your Home On The Market For Sale. During this consultation, I will give you all of the information and statistics that you need to gain a clear understanding of the market in your particular neighborhood, discuss timing, and go over a personalized marketing, pricing, and timing strategy to get your home sold quickly and for the best price possible. When you list with me, you also get my team of tech-savvy marketing admin who makes sure that my listings get full exposure with the realtors AND with the buyers on and offline. My clients will tell you how my targeted internet, community videos, and social media marketing campaigns stir up tremendous activity for my listings, creating a Seller’s Market within a Buyer’s Market. This combined with a strong pricing and staging strategy bring my clients the most that the market can bear. No single realtor without a team of specialists can possibly do what we do for you! 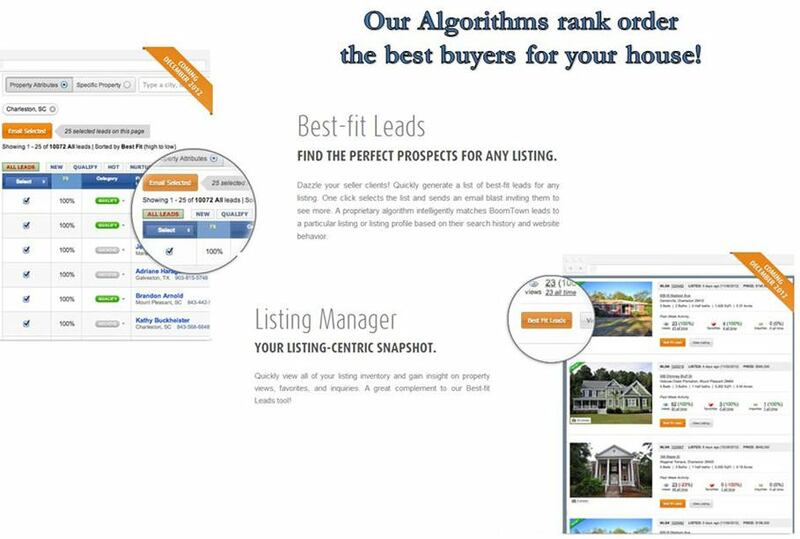 Our home match system uses algorithms to match our database of buyers to your home and even rank orders them based on who is the best fit! This is targeted, it works, and the Sue Adler team has exclusive access to this system! Just as you found me on the web, I get an astounding 35,000 to 45,000 hits, and 4,000 to 5,000 visits PER WEEK at www.SueAdler.com .When we sit down together I will explain how I make this happen Immediately after listing your home, I will send out a broadcast email announcing your listing to the 15,000 people who’ve signed up to receive my Latest Listings, plus a separate one to the local realtors inviting them to the Realtor Open house and inviting them to send their buyers to the public open house that Sunday. No one buys a home without being sold first on the community. What sets me apart from other agents is that I create a community around each of my listings. I have created a town tour video for each of our midtown direct train line town communities to showcase our community as well as your house. For example: Click here to see our Chatham focused page, detailing community, school, and commuter info on that town, as well as our most recent blog posts containing news about that town. Our listings are found on google, Realtor.com, Keller Williams.com, SueAdler.com, Zillow, GSMLS.com, Facebook, Trulia and all the other sites that they syndicate to, such as Listhub. This ensures you can not POSSIBLY be missed on an internet search. My listings bring in an average of 55 new registrations a week (aside from the mickey mouse leads), mostly relocation, as my website is easily found in the search engines by relocation buyers searching for a home and a top Realtor to work with. VERY IMPORTANT: At Keller Williams, the listing agents get the calls on their own listings, unlike traditional companies where the “floortime” person, who may not have seen your house, gets the call. We host a Realtor Open House for all of the local Realtors the first Tuesday or Thursday after you list your home. We also host a Public Open house ( if appropriate) the following Sunday and you can read more about that process here. Our team then immediately contacts the key Realtors who may have Buyers for your home to spread the word fast and create excitement. We also email them the property brochure as well as the unbranded links to your tour and interactive floorplan so they can forward your property on to their buyers. We are constantly looking for ways to improve and seek constructive feedback. We have 3 ways of getting feedback after showings. Each Realtor has a different communication style so we try all three. You are kept informed every step of the way. My husband does all of the photography to showcase your home- he uses a wide angle lens and spends hours in photoshop on each of my listings. After trying several companies who didn’t properly stage a tour, or didn’t lighten the photos, or basically care enough to make it great, I turned to my husband, Peter, who is a brilliant photographer and brings out the best in each of my listings. He will make sure that we showcase your home in the best possible way, even ensuring outdoor shots with blue skies, and returning to redo the exteriors of your house as needed after the snow melts or pools open. I will have virtual slideshows and interactive floorplans of your house created, which I automatically link to www.SueAdler.com. When someone clicks through to your home’s page from Trulia, Zillow, Realtor.com, etc… they will see the beautiful showcasing of your home with our Professional wide-angle lens HDR photography. I’ve actually sold homes sight- unseen from the interactive floorplan! Your home will be added, along with its virtual tour, MatterPort 3D Walkthrough, interactive floorplan, downloadable property brochure & still photos, to the instant listings section of this website, which will also be sent to homes.com, trulia, zillow, craig’s list, and every other key real estate websites as mentioned before, so your home can’t possibly be missed in an online home search. Our property brochures are professionally written and sent to a professional printer and left in your house for potential home buyers. Your property brochure is also attached to your listing on our website, like this, so potential buyers can view and print it. Your home will also be added to the Garden State Multiple Listing Service within 24 hours of listing. I will add photos & the unbranded virtual tour to the listing so that the agents can email them to their prospective buyers. If appropriate, I will hold a public open house and have an incredible targeted marketing campaign to ensure that the qualified buyers come. I make sure your Buyer is pre-approved by a reputable Mortgage Company and that all financing is in order, to ensure a smooth transaction with no surprises. As your advocate, I promise to negotiate fully on your behalf and advise you every step of the way. I will help you bullet-proof your transaction to minimize your risk. Living in the midtown direct towns, there are homeowners facing financial hardship from job loss, who don’ t know what to do. I wrote an article to hopefully help families who suddenly find themselves in this situation. The positive news is that our towns are still in demand, and I’m still selling homes the first weekend as long as they are priced right. With the interest rates as low as they are, buyers who have been waiting to jump into the market are out there now, and although price conscious, they’re jumping on the homes they feel are nice and view as a great value.